Nakayasu is a family-run business Ryokan which has been preserving the tradition of Japanese style since its establishment in 1920. Kanazawa is one of Japan’s key cultural centers and a city of outstanding good foodstuffs or cuisine. 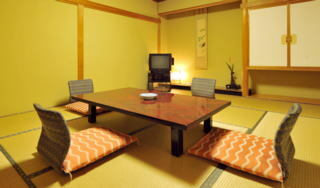 Nakayasu Ryokan is located in the center of old Kanazawa. Therefore main sightseeing spots such as Kenrokuen Garden, Higashi Chaya District, Samurai district, Kanazawa Castle Park and Ohmicho Market are all within walking distance. We are delighted to have you and we sincerely hope you will experience real Japan here in Kanazawa!